Nine years ago our world changed forever. And the next morning, all one heard in the eerie silence was the sound of active PASS devices still chirping away amidst the rubble. 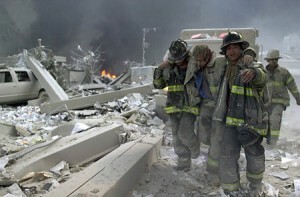 For a firefighter, that is the most heartbreaking sound you can hear. My wife and I still can’t watch a 9/11 documentary without tears in our eyes. I dare say that is the way it should be. It is your solemn duty to remember.